This comment was edited by planK on Dec 10 2011 10:37pm. Ra! Admin abuse - het lijkt erop dat je nu de JA Dictator bent geworden die je altijd al wilde zijn. Leuk om weer eens iets van je te horen, trouwenS. Hoe is het ermee? Huh, they haven't banned you yet??? This comment was edited by Dash Starlight on Apr 10 2013 12:13pm. EDIT: O yes, merry christmas! This comment was edited by Dash Starlight on Dec 25 2012 09:01am. All you have to do is ask, and the Tauntaun is yours. Oh, and you also have to convince Virtue to serenade me while intoxicated. Congratulations Lirael on your accomplishment! I'm certain you have earned it through all the time you've been devoted to TJA. Very much looking forward to seeing what you're all cooking up for us behind the scenes. 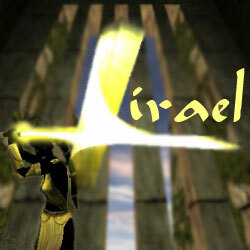 Way to go, Lirael! You're the sexiest Jedi Council member evar. Now, if you convince Virteh to serenade me drunkenly, I will buy you your very own Tauntaun. Nice job, Lir! Now you only need to ban the other JACs and you'll be the Jedi Academy Dictator like you always wanted! No! I want to do it first! I'm sure you'll do a fantastic job. Might be an even more important job too now with the site becoming more involved with TOR and all. This comment was edited by Dash Starlight on Nov 14 2011 08:13pm. didn't mean to appear disrespectful. i just found it hilarious. And there's nothing cooler than that, lololol! Oh, ok, I didn't know I had to state it. Right away officer! Nah, just a imaginary donation income. It isn't affiliated with TJA in any way. I will make you PAY for what you've DONE!